Today, the sun came out, literally and figuratively. I was able to have a real heart to heart with my husband and that lifted part of my gray feeling. The the rain finished and the warm and wonderful spring sunshine appeared. It was glorious. It felt like cleansing, like a rebirth. The warm weather brought on all nature of outdoor activities. 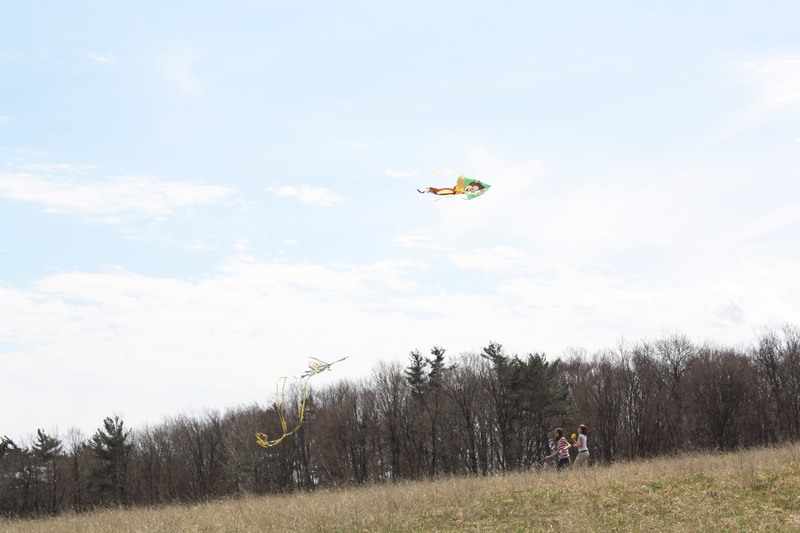 The kids had a great time flying kites. 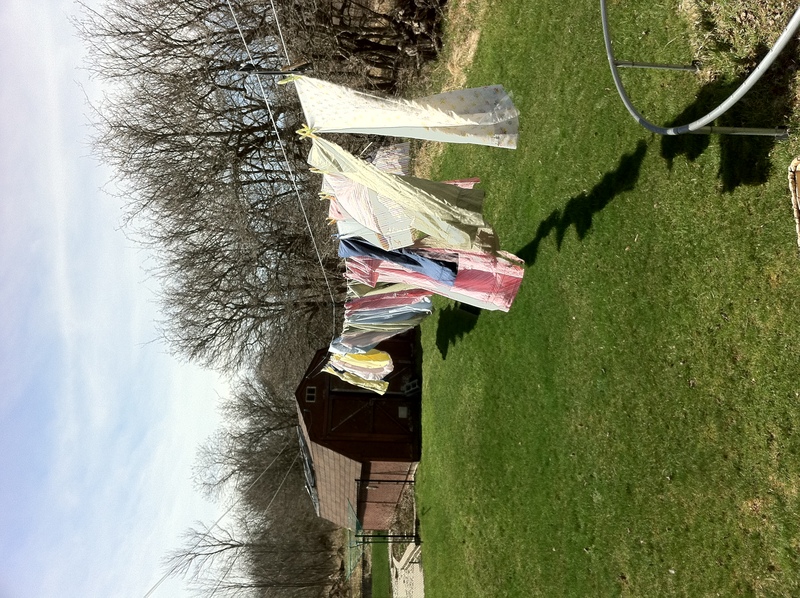 Laundry on the line is one of my favourite things. I love climbing into bed at night and smelling the outdoors! Small blessings for sure.